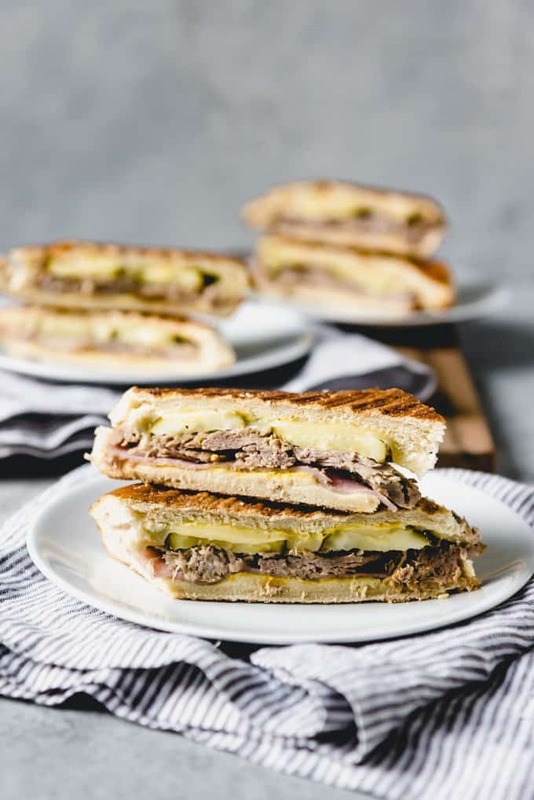 If you have never tried Cubanos [a traditional Cuban Sandwich recipe], then you are in for a treat! 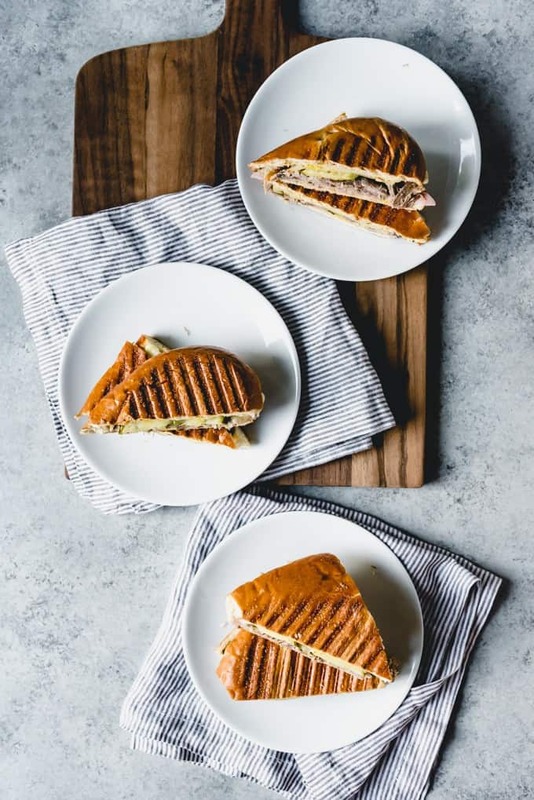 Break out your panini press or a frying pan and cook up these ham and mojo pork filled sandwiches that are also loaded with melted Swiss cheese, yellow mustard, and dill pickles! 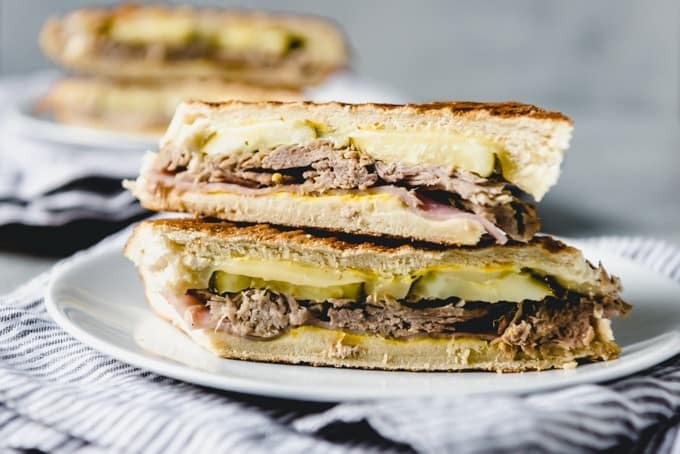 The first time I remember trying a cubano was at a restaurant in Palo Alto known as La Bodeguita Del Medio when I was a summer associate at the law firm where I would later go on to start my short-lived career as a practicing lawyer. Short-lived only because kids came along and after going back to work for a year after our first was born, I knew it just wasn’t working. My husband is also a lawyer and after a lot of consideration, we decided that the right decision for our family was for me to stay home with the kids, at least while they were young. Which has worked out great for us since this blog of mine that I started as a hobby in 2017 has turned into so much more and become a full-time job for me. One that I can do from home on my own hours when the kids are either in school or asleep (mostly – I still do most of my photography with my kiddos around, often helping me in the kitchen as taste-testers or mixers or holding food or utensils when I need that human element in the shot and don’t want to bust out my tripod. 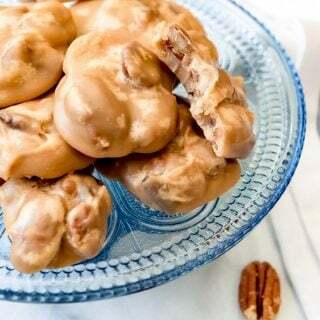 Our oldest daughter has even started coming up with ideas of her own for the blog, like these raspberry chocolate chunk cookies that she convinced me to make (which turned out super tasty!). 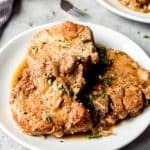 But like I was saying, during my experience at a big Silicon Valley law firm, we often ate out at one of the many restaurants in the area and this Cuban restaurant called La Bodeguita Del Medio was one of my very favorites. 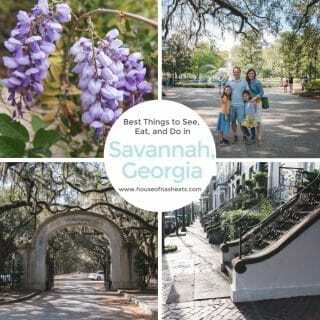 It’s where I first experienced a cubano, or cuban sandwich, which is the recipe I’m sharing with your today. Cuban sandwiches were created in Florida, specifically in Key West or Tampa where a neighborhood known as Ybor City has historically been home to thousands of Cuban immigrants, many of whom worked at cigar factories there. As the Cuban population throughout Florida spread, so did the popularity of this Cuban sandwich, which is also easy to find in Miami. 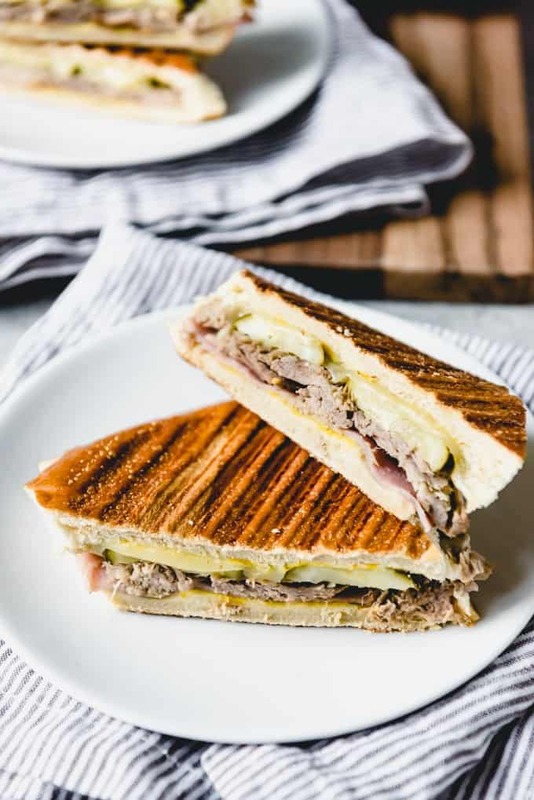 A Cuban sandwich is made with sliced deli ham, roast pork, Swiss cheese, pickles, and yellow mustard, all layered between Cuban bread that is sliced in half horizontally, submarine sandwich style. 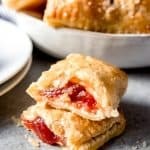 Then it’s pressed in a panini press or weighted down on a hot griddle or frying pan to that as the bread gets toasty on the outside, the cheese melts and the meat warms on the inside. Since Cuban bread is pretty near impossible to find outside of Florida, French bread or Italian bread are also good substitutes. In some parts of Florida where there were also large Italian populations, salami got added to the mix as well, so that’s another variation to try when making Cuban sandwiches. Also, for all you pickle-averse people out there, before you go thumbing your nose at the dill pickles you really ought to give them a try in this sandwich. I am the only one in my family who likes pickles so I was hesitant to even bother making our cubanos with them. But it seemed like cheating to omit the pickles, so I decided that everybody could just this once, deal with it. And guess what? They loved them! They didn’t even pull the pickles off and stack them on my plate (which is what typically happens). Even my husband admitted with surprise that they tasted really good when combined with everything else. 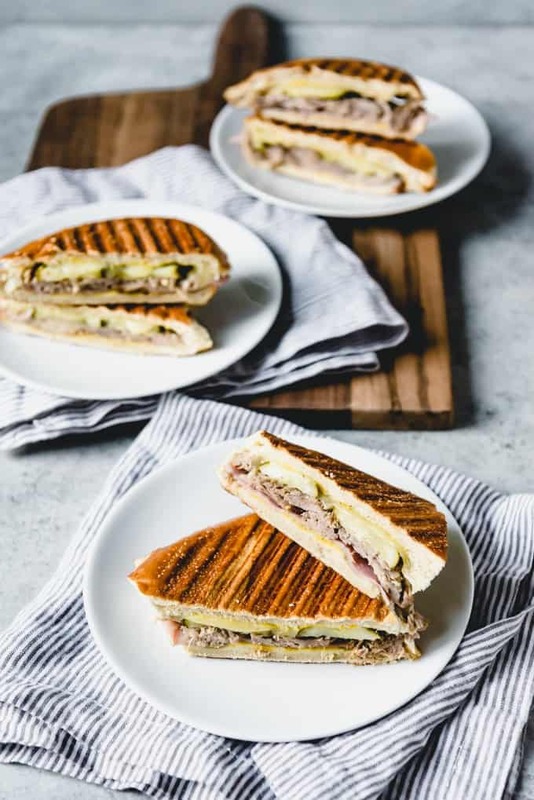 If you don’t have a panini press, you can make these Cuban sandwiches in a hot griddle or frying pan. Top them with a heavy cast iron skillet then weigh it down with some cans so it presses the sandwich. You will need to flip the sandwich to cook both sides, but this method totally works. 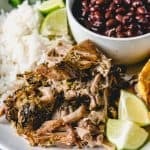 If you haven’t made Cuban mojo pork and consequently don’t have any pork roast leftovers, you can usually get roast pork at the deli. Use yellow American mustard, not a spicy mustard, for the most authentic Cuban sandwich. Slice the loaf of bread in half horizontally. Spread the mustard on the cut side of the bread, then layer the sandwich with sliced ham on the bottom, then the roast pork, followed by the swiss cheese and pickles. 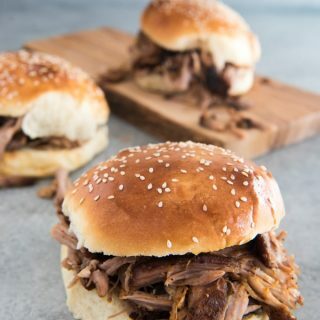 Top with the other half of the loaf of bread and cut into 4 smaller sandwiches for easy grilling. Brush the top and bottom of the sandwiches with the softened butter. Then grill the sandwiches on a panini press, griddle, or in a frying pan using a heavy skillet to press down the sandwich. 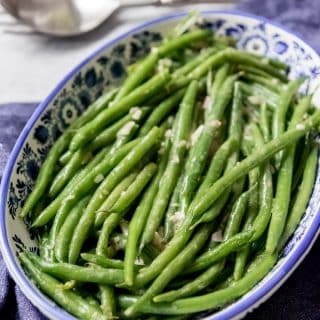 You might even want to add a heavy can of beans or something to the skillet to make sure the sandwich is being pressed well. Cook until toasted (around 3 minutes), then flip and continue to cook on the other side for another 2-3 minutes. The exterior of the sandwich should be golden brown and crisp while the cheese inside is melted and the meat is hot. Slice each Cuban sandwich in half and serve. Cubanos are my favorite sandwich (at least right now) and John used to say he didn’t like dill pickles until he had them on a Cuban sandwich. Now I have to guard mine from him. This sandwich looks delicious and has me craving this beautiful sandwich! One of my favorite sandwiches in the world!!!!! I LOVE dill pickles!! Cubanos are always such a treat when you’re lucky enough to order one from a restaurant who really knows what they are doing. Now I can make them right at home! 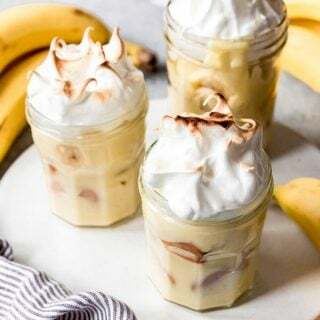 Thanks for sharing this great recipe!! Delicious sandwich and perfect for a mid week meal. Absolutely add the pickles. I don’t think a Cuban sandwich would be the same without them! 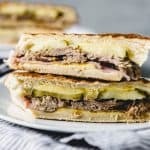 My sis-in-law tried to tell me that a Cuban Sandwich is just a grilled cheese with ham and I explained, no it’s so much more! Your sandwich is perfectly grilled and looks like the ultimate – you’re making me hungry! My kind of sandwich! 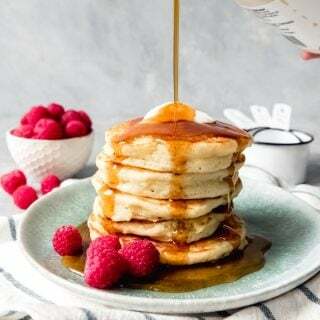 Layer upon layer of goodness! Thanks for sharing! Brooks absolutely loved these! And I am all out of the mojo pork because I couldn’t stop eating that either! This is one of my favorite sandwiches because I love pork and pickles. My panini maker went to heaven and I can’t believe I didnt think to try them with a weighted skillet on top. What a great tip! I love Cubanos, it’s one of the tastiest sandwiches ever created! Can you tell I am a big fan? 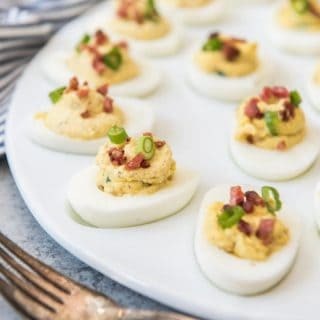 I need to put this on my menu for next week. My family is going to love it!